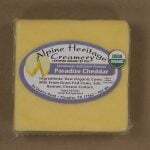 NOTICE: Leesburg area customers can pickup ordered cheese at Healthy by Nature. 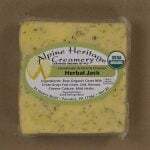 We are not able to deliver to the Leesburg Farmer’s Market. 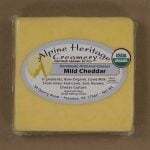 Incredible Certified Organic Cheese made from Raw Milk from 100% Grass Fed A2/A2 Cows. 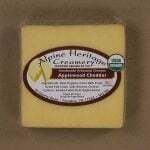 Rarely do we re-sell a product from another farm. 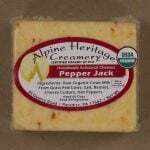 But when we discovered the incredible quality of the cheese produced by Alpine Heritage Creamery, we realized that if we were to make cheese one day to sell, this would be almost exactly how we would do it. We have met the farmers and visited their farm in Lancaster, PA and are very encouraged and inspired by their operation. 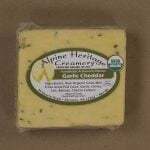 Our family has been enjoying this cheese for some time now and fully recommend it which is why we are now offering it to our customers. Comes in approx. 8oz (1/2 pound) packages. 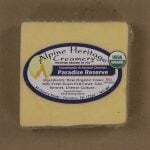 Here at Alpine Heritage Creamery we make hand-crafted artisanal cheese using only raw organic milk from 100% grass fed cows. 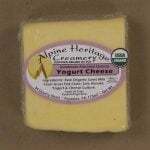 The milk is regularly tested for bacteria to insure that it is of the utmost quality. The rest of the ingredients are simple – cultures, traditional rennet and salt.